Sorry to pull you all away from the JOSS news feed that never seems to cease, much to everyone&rsquo;s delight, but BC isn&rsquo;t just for the BC. 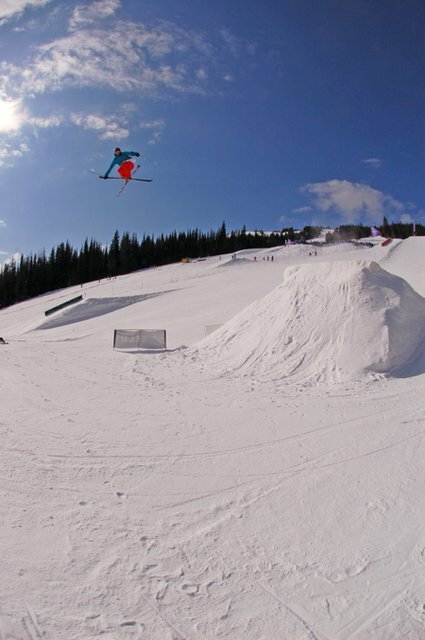 Slopestyle competition also wreaks havoc on the skiing scene on a semi-regular basis. 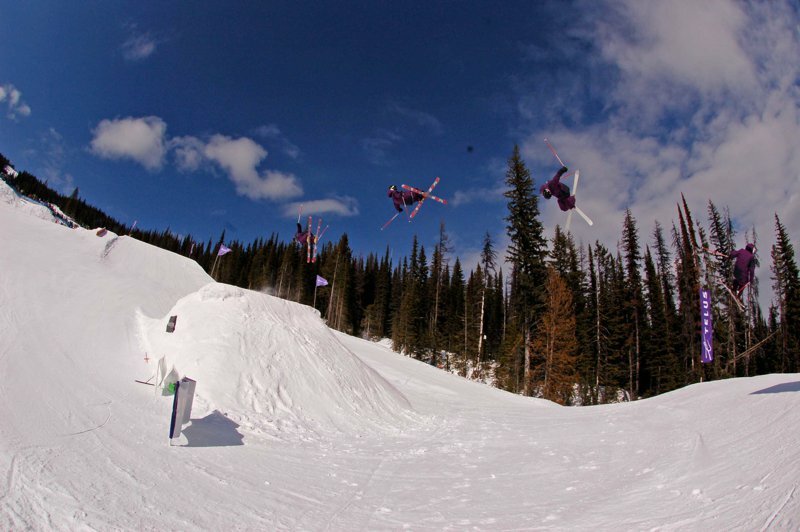 With that in mind, the 4th annual Showdown Throwdown Hoedown slopestyle went down last weekend, helping the winners&rsquo; wallets get slightly fatter and the spectators either slightly drunk, or very stoked. 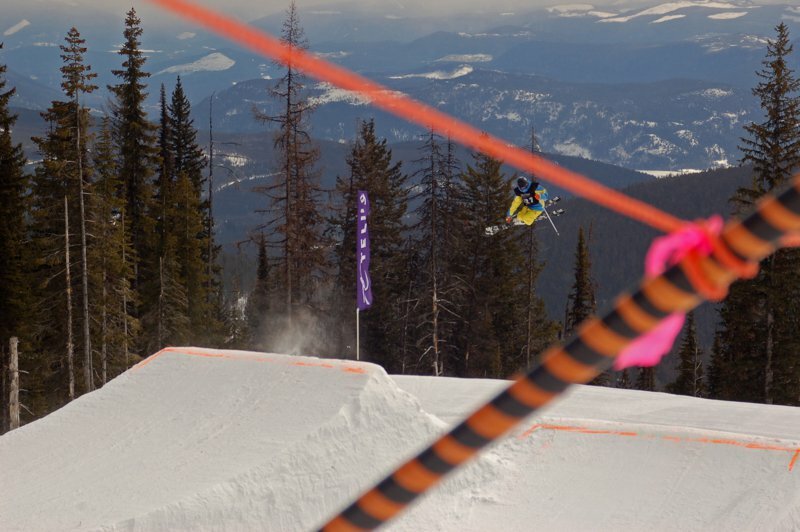 Day one of the aptly named Throwdown was just that. Competitors pushed their limits further than expected, as the cloudy weather made for flat light and menacing winds. 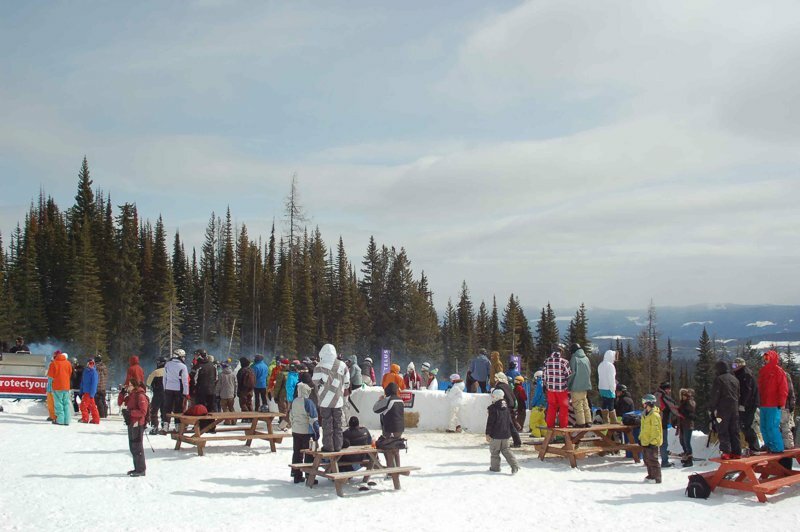 Onlookers were a bit more fortunate, enjoying the fine grilling made available by the friendly folks at Silverstar resort, and the wobbly pops, in keg form, provided by the Okanagan Brewing Company. A good time was definitely had by all, especially those tapping into the brew. 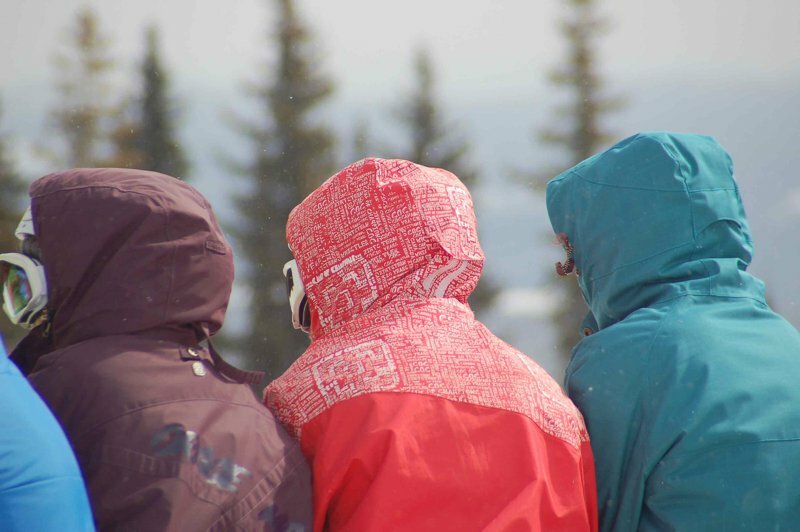 Skiers in all categories were given two runs each day, of which any permutation of the best two counted. This made for some balls to the wall skiing from everyone, including switch 10&rsquo;s both ways styled out with mutes held higher than Cheech and Chong, and a continuous flow of switch and regular 7&rsquo;s and 9&rsquo;s.
The morning of the finals and the consequent commencement of a competition claiming carnage and cool trickery was wrought with difficulties. Gale-force winds put competitors on their heels, no pun intended. Sharp tailwinds would rise and fall at a moment&rsquo;s notice, making speed nearly impossible to judge. This predicament, coupled with overnight temperatures well below zero, made for an interesting and painful session. After a morning dedicated to suffering and troubles, the skies began to part, if only minimally. 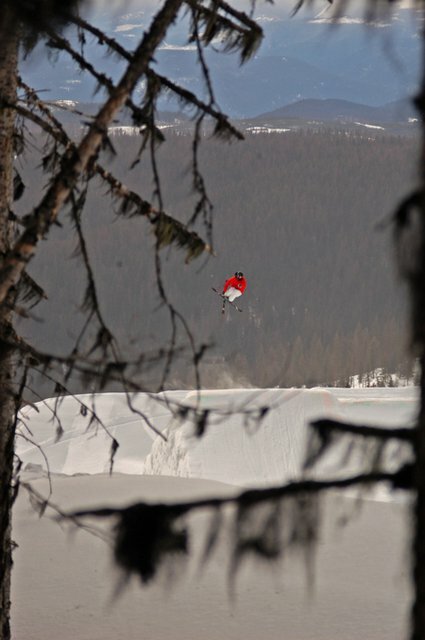 The &ldquo;Am&rdquo; categories ran first, and despite the troubling conditions, they all tossed a huge variety of tricks. BC homeboy Todd Loukras brought himself into the limelight with ridiculously corked switch 7&rsquo;s, and many other&rsquo;s were making it known that they will soon be competing in the &ldquo;Pro&rdquo; sector. As the day wore on, conditions became more conducive for parlous tricks of all descriptions. 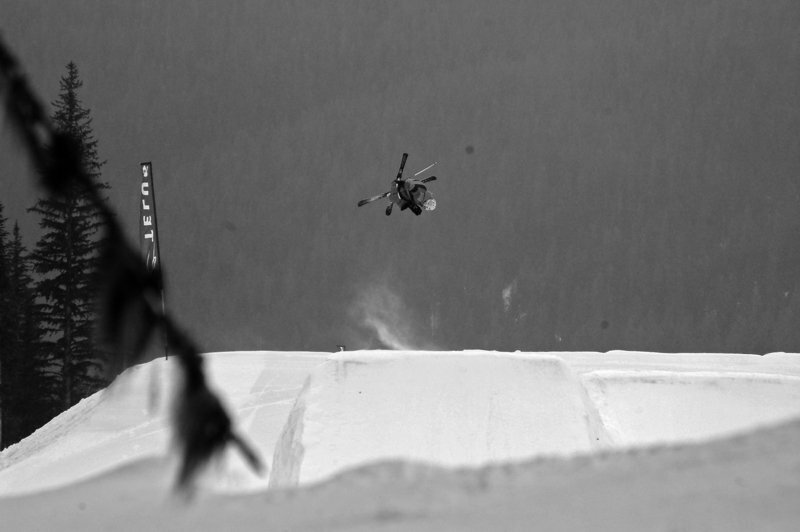 The Pros rolled onto the course just in time for the clouds to say sayonara, and even though the wind remained they&rsquo;re Pro, so the session was ridiculous. Huge spins came out of every competitor, and the final booter showcased the showdown to an amped crowd. Flat 5&rsquo;s, switch 10&rsquo;s, and even a double flip or two made an appearance. That is to say, after all the strife that Mother Nature caused, she eventually relented and permitted the level of competition to exceed all previous years&rsquo;. 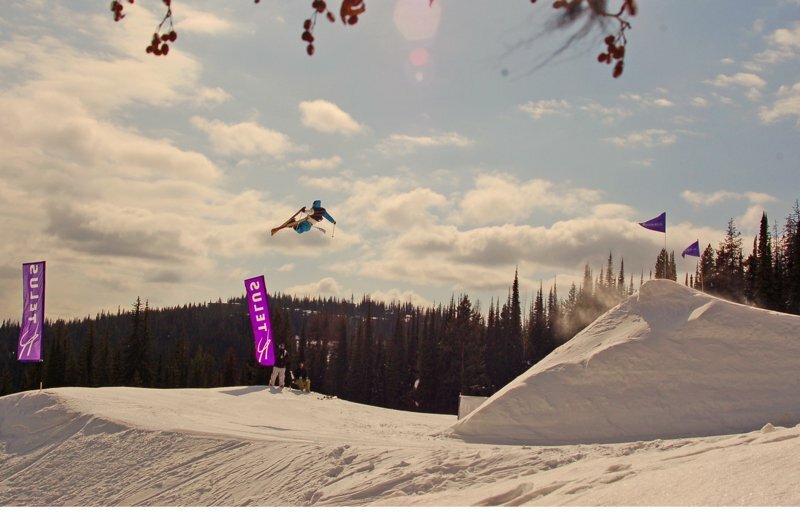 At the event&rsquo;s conclusion, the Pro podium featured Mike Mertion of the Faction Collective, Matt Margetts rocking K2&rsquo;s finest, and in first place the incomparable Joe Schuster. Not a bad collection of Okanagan locals. 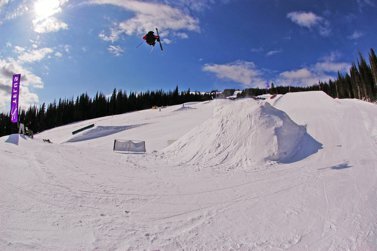 Next year&rsquo;s edition of STH promises to be one of the sickest slopestyles in BC, so check it out.